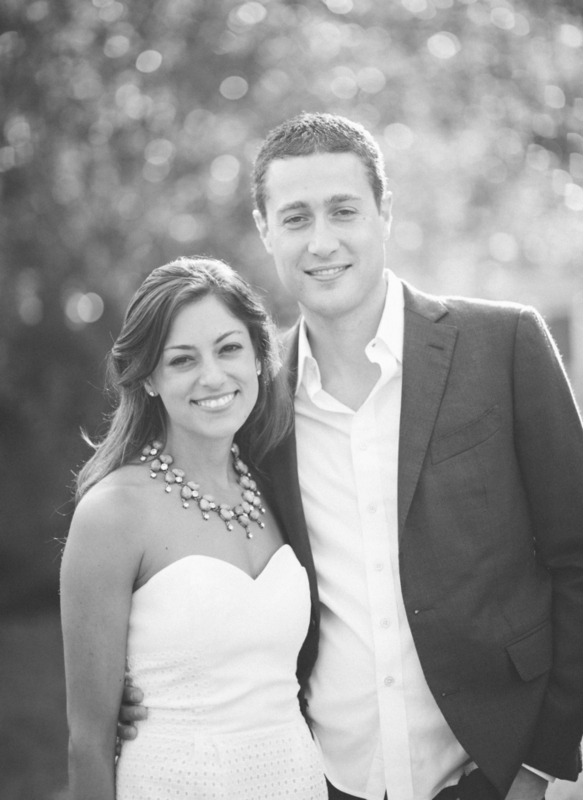 Brianna and Mike first chatted with Jenny in 2011, and there was an instant connection – their joy for life was infectious. 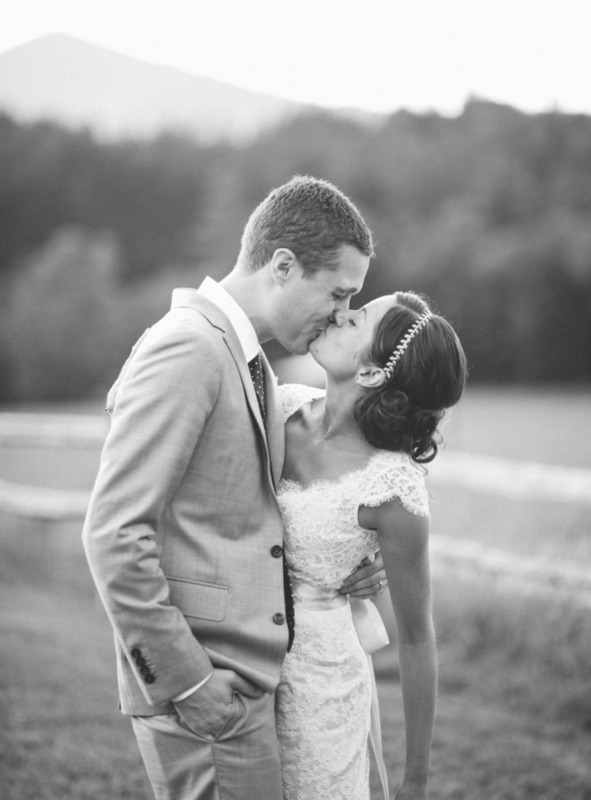 They were married at Riverside Farms in Vermont in July 2012. 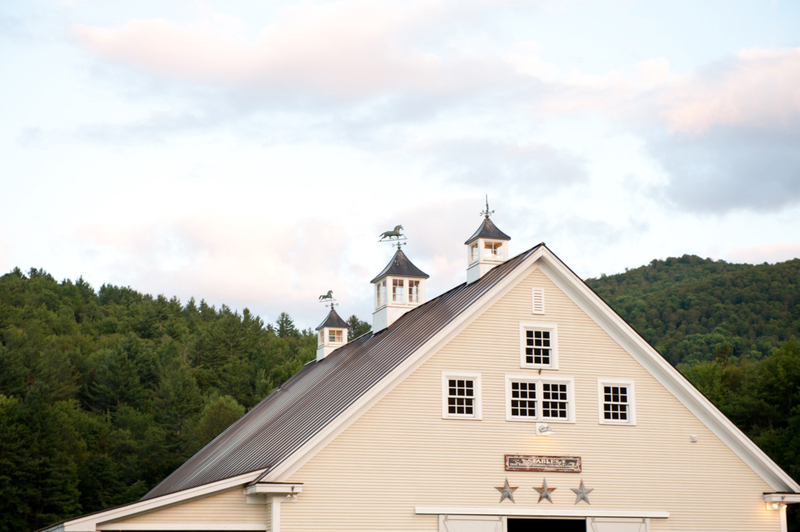 Their wedding was a joy to photograph, from the stunning Vermont scenery and playful guests to the happy couple themselves, soaking it all in. 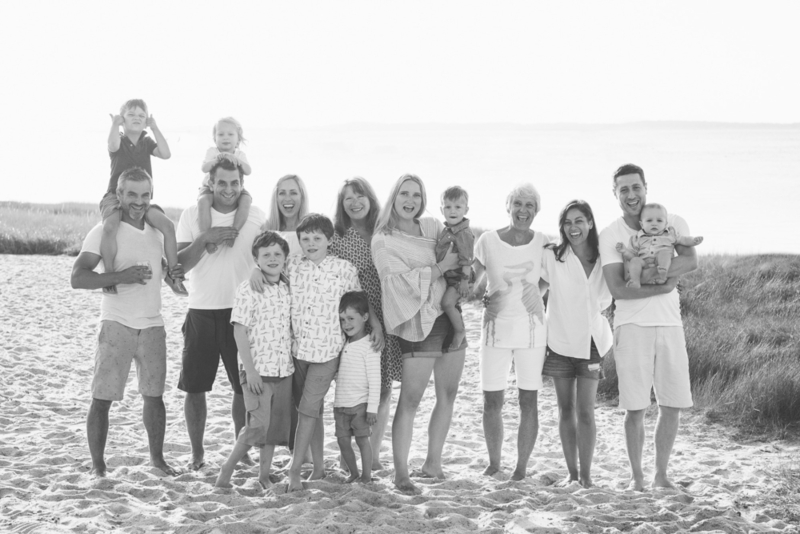 Fun fact: Both Jenny and Bri’s brother Ben and his fiancé, Kati, were 8 months along with their first child. Little did anyone know their son, Oliver and Jenny’s daughter, Harper would be born 8 days apart and literally climbing all over each other in the years to come. It was a reference from when Bri was a little girl and saw snow for the first time. She asked, “did daddy put it there?” How adorable is it that a little girl would believe that her father was so special he could make snow fall from the sky. 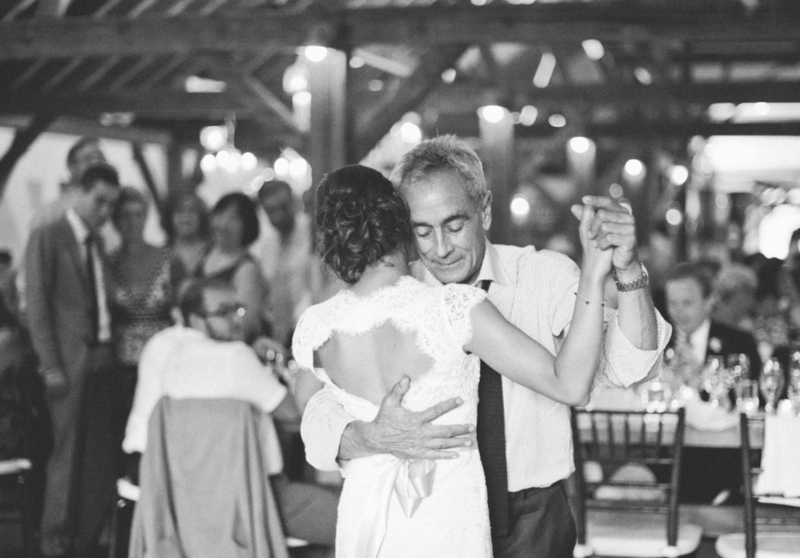 What nobody realized at the time was that Jeremy, Bri’s dad, would pass away suddenly from a heart attack only six weeks later. Not all of the photos were finished yet, but working through the edits, it seemed so surreal to us that this vibrant, gruff and sweet man was no longer here. It was in this moment that Jenny realized a new level of awareness in what she does and why she is meant to be a part of people’s special days. 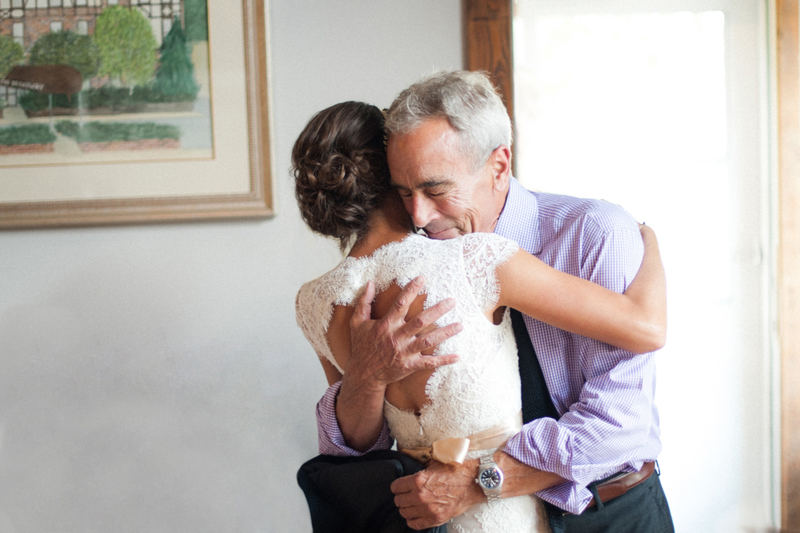 His emotion shines through the photos so intensely that his pure and fierce love for his daughter is palpable. Knowing they could pass that gift back to Bri in the form of a photo was extraordinary. It was during this process that Jenny and Blake started to look at weddings and life very differently- with the knowledge that that this could be their last day, week, or month and it was Jenny’s mission to capture it for their loved ones and their legacy. During this weekend the Berkowitzs and the Moloneys grew to be fast friends. Their families were connected for life. They all felt it. To look back on this day and the start of their journey together is incredible. This experience was a profound one for Jenny and it shifted the way she sees the world and her work as a photographer. 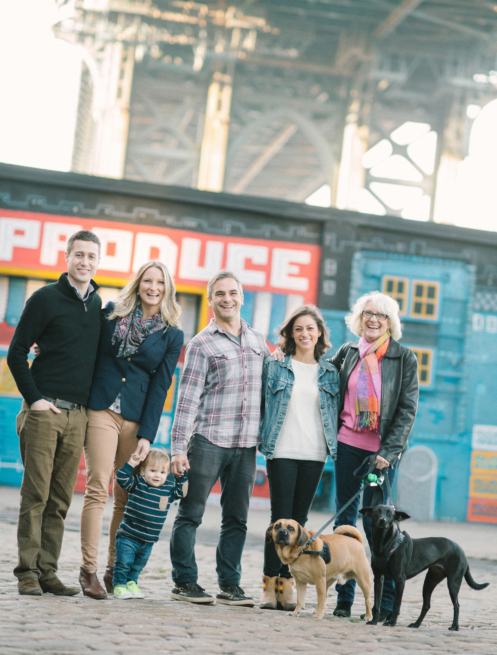 The following year, Ben and Kati reached out about a fall family session with their son Oliver in Brooklyn. Bri and Mike and Ben’s mom Jodi would also be in town, so everyone got together for an afternoon. The group spent the afternoon walking around to Bri and Mike’s favorite places. 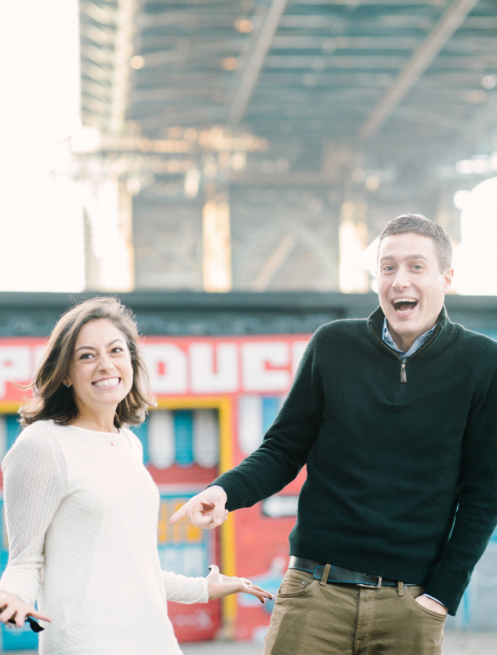 Bri and Mike also shared the exciting news that they were expecting their first baby in July! 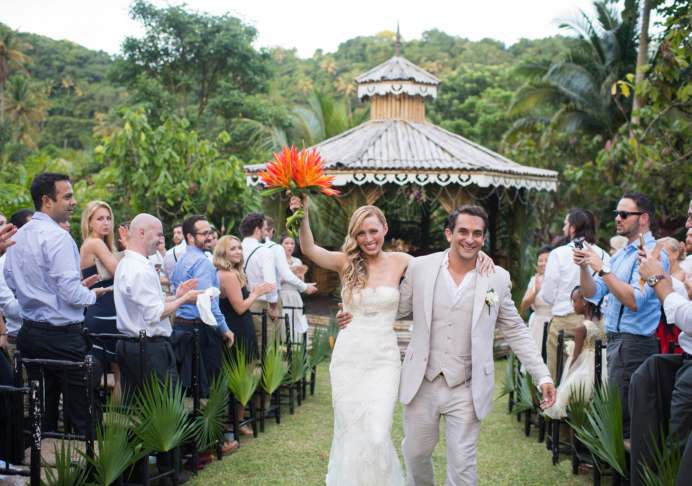 The next year Bri’s brother John married Alina in St. Lucia. 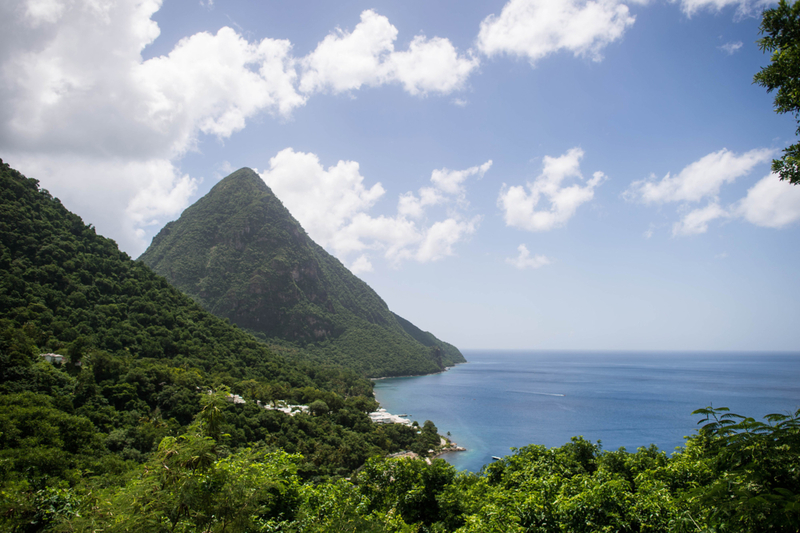 From the epic views of the Pitons to the amazing people, this trip was one for the books. Seeing that Oliver was almost 2 and Luke was 3 months, Jenny realized how fun it was to see a family change over time. Knowing this helped Jenny and Blake notice the significance of documenting Alina and John’s transition in joining families. 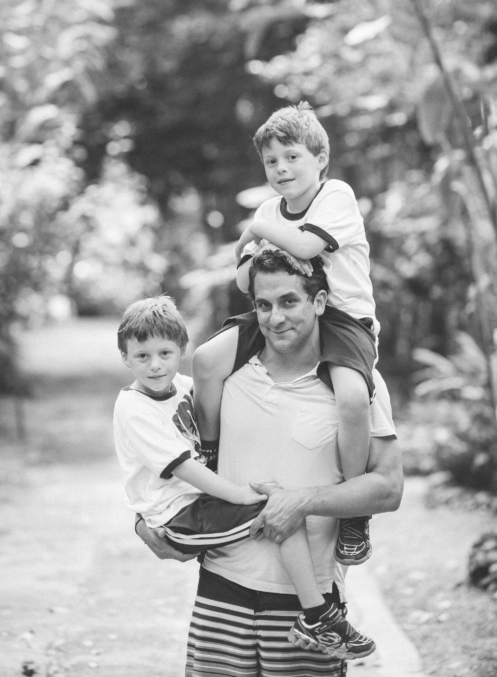 Showing John’s connection with Alina’s twin boys, Logan and Jackson, now felt even more important. Every day was amazing. 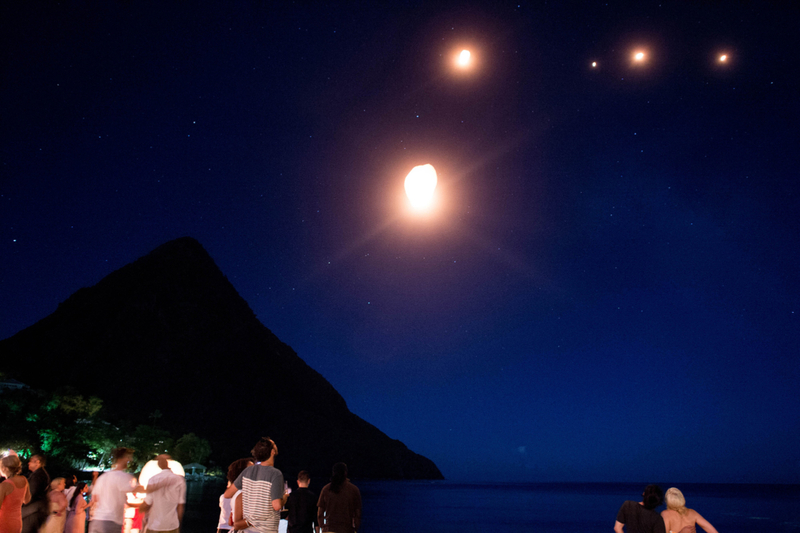 The adventures ranged from rainforest hikes with waterfalls to catamaran rides, lanterns, and fireworks. 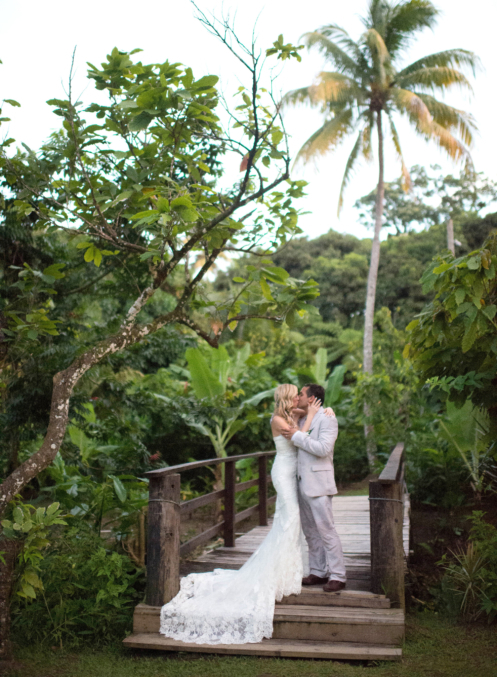 John and Alina were married in the rainforest followed by a reception at Sugar Beach. All this was spectacular, but the best part of was getting to celebrate with everyone and tell the story of this family through another life ritual. This past summer, the whole family spent the week on the Cape in Barnstable to celebrate Jody’s 70th birthday. What a special time for this family, celebrating their growing family and honoring their amazing mom. 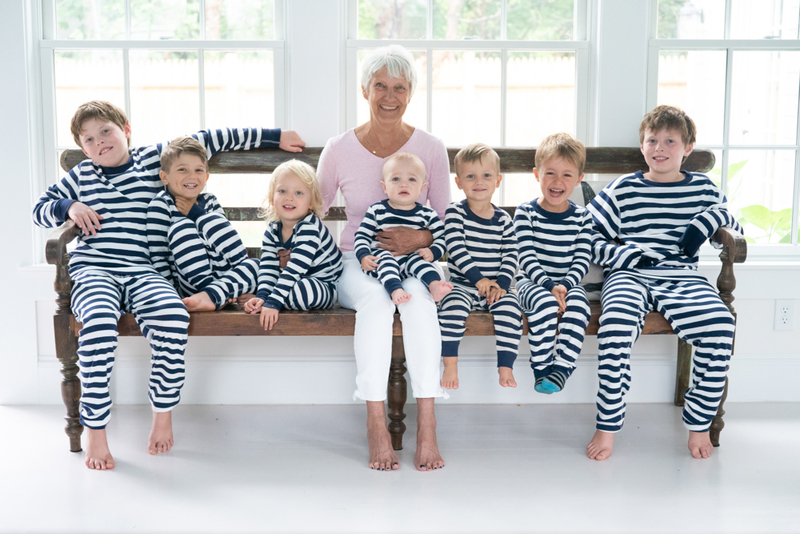 The next morning, after pancakes and coffee, the kiddos all piled onto Nana/Jody for a shot of her with her seven grandsons. This photo really captures her sweetness and her adoration for her boys. What a legacy! Since their session back in Brooklyn, Bri, Mike, Alina and John have relocated to Austin, TX. Jenny is looking forward to the next time they are all together in Austin to photograph them in their new homes.